Smooth Video Player Is Awesome! - tech talk - Furtopia | Family Friendly Furry Forum and IRC Chat! Enjoy the simple things in life the most. Does anyone else use SVP? 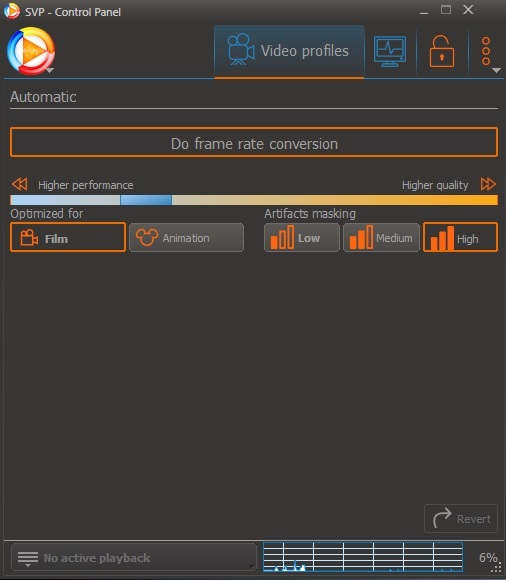 It's a great program that makes video look a lot smoother by making them play at 60 FPS. I've noticed that I am able to enjoy movies a lot more when they're smoother and that they're easier on my eyes so I don't get as fatigued when I watch many hours of video. I really recommend you guys try this program out so you can see the difference for yourselves! You can download the free version from the link above! Above is an image of my personal settings which work fine for a 6 core AMD CPU FX-6100 and a Nvidia GTX 750 ti GPU. Re: Smooth Video Player Is Awesome! I'm happy to see they went back on that idea, I'll have to try it out again sometime!